Comfortable accommodations on the coastline in beautiful Pescadero, CA. Providing shuttle and drop-off play care for Palo Alto and surrounding cities. McCann’s Canine Care is committed to ensuring that every animal under our care is treated with loving-kindness and respect. 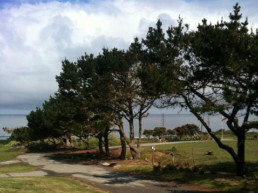 We are located on 10 beautiful acres in Pescadero, right off scenic Highway 1. This is doggy heaven. We offer daily play care with shuttle and open/group boarding. We are looking to expand our services later this year to offer drop-off play care. For more about our services, click the Services and Rates button below. CLICK HERE to subscribe to our newsletter. 2018 Best of Pescadero – Kennels Award! McCann’s Canine Care is the 2018 recipient of the Best of Pescadero – Kennels award! Please see our About section for more information.